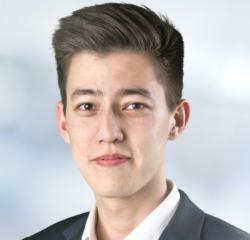 Dennis graduated from the Master in Management in 2014. He is a consultant for Market, Innovation and Development for Continental AG. Specialization in Strategy, Market Benchmarking, Data Modelling and Pain Point Analysis. He has 4 years of automotive experience with project involvement in over 15 countries. I’m what you call a “Third Culture Kid”; my personal background has been under the influence of a multitude of countries and cultures in Germany, China and the United States. This upbringing ensured my desire to study and work in a field, in which I would be equipped with a broad spectrum of competencies and a global mindset. Cue Frankfurt School, which provided an international set of classmates and atmosphere, in addition to the business expertise to round out my Bachelor in Industrial Psychology. At Frankfurt School, the courses push you to expand your mindset, while simultaneously exploring innovative fields. At the same time, the numerous career days, presentations from industry experts and guest speakers, and alumni events guarantee that a network can be built, and your career direction can be solidified. Why consulting and the automotive industry? Following graduation, I was determined to enter the consulting industry within the automotive realm. Consulting to me, is a career field which offered infinite opportunities to build a network, be involved in a diverse set of international projects which enables a combination of logical and outside-the-box thinking. The automotive industry on the other hand, is commonly thought of as a traditional manufacturing environment, where structures and processes have remained unaltered for decades. Simultaneously, this traditional setup is rattled by a string of disruptive drivers and trends including urbanization, electrification, ride-sharing and digitalization. It is precisely the transformation of the automotive industry, which enticed me towards it. The ability to drive changes, identify new market opportunities, technologies and be amid the remodeling of the industry. I began my professional career at a boutique consultancy, specialized in digitalizing automotive dealerships and optimizing their processes to the premium OEM standards. The experience brought me project involvement in over 15 countries in 3 years, and a deep understanding of structures, processes and requirements from the OEM level down to the end-users. As a consequent next step, I was seeking new challenges and increased involvement in the strategic aspects of consulting and decided to shift career paths. My orientation to Continental, as one of the leading global Automotive and Mobility suppliers, was transformative for a diversity of reasons. 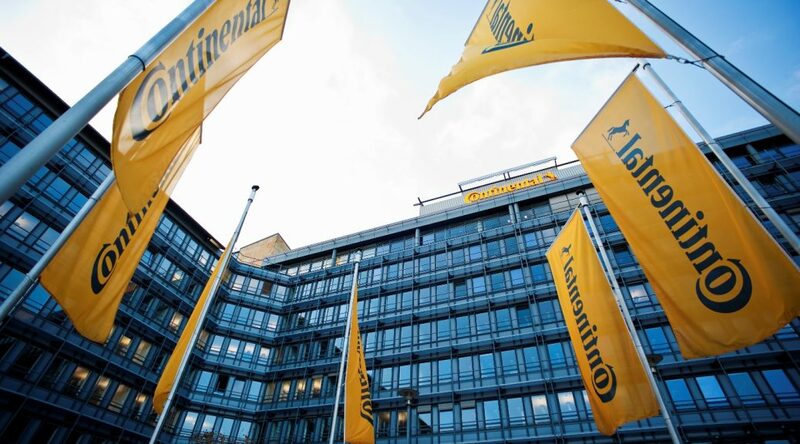 Continental Business Consulting (CBC), as the In-house Management Consultancy of Continental AG, was founded recently in 2011, and thus is comprised of an innovative core. Simultaneously, CBC possesses multi-faceted teams specialized in Strategy, Innovation, Operations, Supply Chain, Agile Engineering, Business Harmonization and Interim Management. The various teams allow for cross-functional projects, the ability to gain comprehensive knowledge and skills, and the possibility to switch divisions, if your abilities are better suited. The second factor that contributed to my selection of CBC is the competence, involvement and care of the managers and directors. My manager specifically, treats his segment “Strategy and Innovation”, with trust, freedom to act, entrepreneurial thinking, and pushes each team member to reach their potential. At the same time, he challenges traditional thought processes and engages you to overcome mental barriers. The consulting team at CBC contribute in engaging you to act freely and think entrepreneurially, a sharp contrast in comparison to a “bend down and deliver” culture in other consultancies. Due to the transformative nature of the industry, the projects handled by the “Strategy and Innovation” team I am assigned to are wide-reaching. These can be related to reorganization, determination of future strategies, product and service innovation, creation of new business models and market intelligence. Due to the diversity of nationalities and competencies, I think I have found my home. If you’re also interested in a career in consulting following your master’s at Frankfurt School, I invite you to find out more about us!